Tea Time is looking for 5 active members to help fill out our guild. We currently run Heroic Pit 3 times weekly (24 hour no damage rule) and nAAT (ffa) twice a week, though with your help we might be close to doing hAAT. We're a laid back, have fun bunch who love the game and enjoy playing it. 600 daily tickets are welcomed, but mostly staying active and helping out in raids/TB is mostly what we're looking for. 600k+ GP would be ideal but not necessarily required. We also have a discord chat with some really useful info and guides for all in-game content. Joining discord isn't a requirement. If you like to join add my Ally Code and/or pm me 493-934-964. We have just opened a new guild with others players from a previous guild where the Leader had quit the game. Currently, we are 15 players in the new guild, from level 75 to 85 (more players are between 80 and 85). Actually, we're doing Rancor Raid Tiers 6 and AAT, and we hope to do Heroic Rancor as soon that we have enough players. No rating of ticket raid needed to integrate the guild, but we are expecting that our members do their daily activities. So if you think that we can interest you, take a look! The guild name is: "The lion guidance" (search by "guidance", because the complete name don't match to find the guild). Hope to see you in game!! Mandalores of Deathwatch is an original guild that has 25-30 open spots. Resurrect an old school guild with some super nice people!! Malevolence Omega is looking for friendly players to join our guild and help increase our Territory Battles capability. We run on Pacific Standard Time. We only have a few rules: T7 Rancor- 0 score first 24hrs, follow our team of the month schedule, and follow the plan for Territory Battles. We use Discord for general chat, Territory Battles planning and communicating, raid updates, and news updates. We generally do one T7 Rancor a week. We're improving our normal AAT capabilities. If you're interested in joining, message me here or on Discord (jmankile#6683). Our guild leader is also happy to field joining requests. Contact him on Discord at hippijkr#2636. Please allow up to 24 hours for us to process your requests. We do not have a 600 raid tickets per day rule, but we expect you to contribute as much as you can. For communication, raid rules and helping each other we use Discord which is mandatory. We’ve got a couple of spaces come up in our active U.K. 63mn GP guild. Preferably around 1mil GP Lv85 daily players but we’re chill if you’re a keen padawan wanting a boost from us and are close to that! We don’t mind people missing the odd TB or Raid here and there but in the main we’re active every day. We do require Line as mandatory, where we plan HAATs and stuff but mainly for banter. Everyone on our guild is hilarious so someone who is tolerant of dry wit and memes. Most of us been in the guild for ages, we’re loyal and strong players who love this game. We think I’m the only girl so it’s pretty much lad banter. HAAT: Finished P3 a couple of weeks ago, we’Be boosted squads up since then and are soooo close to Heroic Tank now. Give me a shout if keen! Hi guys i would like to see you in our guild whatever your level is or whenever you started doesn't matter i just want to help players also we can use your help to get us stronger.Every help counts ! I just want one thing from you show respect to your guild members and that's all. Come, come, whoever you are. Wanderer, worshiper, lover of leaving. It doesn't matter. Ours is not a caravan of despair. come, even if you have broken your vows a thousand times. Come, yet again , come , come. Are you a daily player? Do you have in game chat? Do you use discord? Do you have a swgoh.gg profile? Do you know how to follow a 24 hour no damage rule? If the answer to these questions is yes, then have I got a guild for you! I’ve just kicked 3 players for breaking the 0 damage rule and now we have room for you. We started TB by getting 13 stars on the first one. This time, we have an outside shot at 21 so we’ve progressed nicely. We currently have 43M GP that is steadily growing. We raid every time we get enough tickets. Currently we have Heroic Rancor on farm and we’re getting ready for HAAT. 1 or 2 more HAAT ready players should throw us over the edge. I’m trying to gently guide the guild into being more committed, by encouraging discord, and swgoh.gg. Even though we’re pushing to get better, we’re still a bunch of guys and gals cracking jokes and helping each other along. New recruits are expected to have a swgoh.gg account, we need this for our TB Platoons auto-updating spreadsheet, and you need to join our LINE group but no pressure to be active in the chat. GP 52M / 26* in TB. Fenix Order (Guild Power 49,495,248) is recruiting for normal AAT raiding, very close to do Heroic. We are one of the oldest guilds in the game, formed within the hour when guilds were released. Always friendly, we try to help members as much as possible. We have friendly conversations in the game chat and on Discord. -We are expecting everyone to help with Platoons and at least Deploy if you don't have the time to do more. We are expecting only serious players that play everyday. No hard set rule for energy, but try to do 600 energy each day if you can. We are a friendly guild, mostly fans of StarWars, that are playing casually but seriously. If you are interested in joining, just search for us and join if you are minimum Level 85. We are looking for 1 more active member to round out our guild. We are looking for someone between 700,000-1,100,000 GP. We are not looking to add any whales and most of us have been in the guild from early on when it was started. We do not have a ticket requirement but are looking for very active players who will contribute to guild tickets, gear exchange and participate in raids and Territory Battles. If you are not active or violate the 24 hour zero damage rancor or tank rules you will be removed (which is why we’re looking for a new member). We currently have a group LINE chat going with 45 members on it. We use it because it is easy to communicate on, discuss strategy, and use it to coordinate raids and Territory Battles. Our guild is at 48.25M GP and this TB we should hit 25 or 26 stars to hit the benchmark where you start earning purple crystals. Our TB is drama free and has clear directions every day, all we ask is you participate and follow the plan. We don’t require you to farm any specific characters but certainly appreciate it if you’re able to. Friendly guild that runs low level raids. Always have a Tank Raid and a Rancor Raid going to help earn rewards. We really only have 1 rule to follow. All are friendly and helpful. Our one rule: Tank Takedown (Normal) raid and Rancor Raids frequently. We usually do will Lev 4 thru 6 Rancor raids. For 4 and 5 rancor raids, top players will only attack 1-2 times so that lower level people can get more rewards. Top players will attack more often as rancor raid level goes up. Top players attack as much as they want on Tank raids and Rancor Raids 6 and 7. Raid levels will go up as our ranks grow and everyone advances. Always do territory battles and encourage everyone to help. Consistently get 8-10 stars, but looking to get more with growth. Our only requirement is to be active and have fun. Very laid back as we want to do well but also understand it's a game. F2P and P2P welcome. We use the guild chat as our form of communication. Fairly active in responding soon. Ask questions and donate when you can. We want to grow as a guild to where we can all do well and gain shards/rewards while having fun. Check out the link in my signature for my ally code. We currently have 28 members, most everyone is active. Sephjet's Squad is looking for some new members to round out our roster. We currently have 40 members and are building towards a Heroic AAT attempt in the coming weeks. Relevant information about the guild is below but we are a friendly, helpful, and social guild. We are always talking about new team builds, character releases, and theorycrafting how to improve our teams, along with other gaming and movie discussion. We have players of all types: Whales, Dolphins, and many Free to Players. Please DM me if you are interested in stopping by our Discord to introduce yourself or if you would like more information on our guild. Join NUKEM, a fun, laid-back guild looking for active players that will help us defeat HAAT. -Heroic Pit: Alternating start times to accommodate different time zones. A 24 hour no-damage policy is used. -HAAT: Our last attempt got us just about up to P4. We have a few more Resistance teams in the works that we hope get us the rest of the way. We understand that real life sometimes gets in the way of playing (how annoying), so 600 daily is not required; however, we would expect regular participation in ticket generation, raiding, and chat. Strong tank toons are an asset. The Dread Masters is doing normal HAAT few times a week. We do heroic Rancor with 24 hours no damage. We are 33/50 with 13 stars TB regularly. We are 26 m GP. The Dread Masters has been around since the introduction of the guild system. We need more active 65+ players to want to join our guild to help out with improving stars in TB especially. We do accept smaller guilds to merge into us if it's better for you and we will have one officer spot open for your guild leader. No, we don't want to be part of multi-guild alliance system or merge into other guild. Hiya all. We're a brand new Guild the Original Twelvebacks and we’re looking to get filled up for NAAT and T4/5/6 Pit as soon as we have the gunpower/sabrepower/spookylightningpower. We're friendly and casual but are looking for high engagers to bring in the pobble beads each day. Ideally 400+ but no-one will give you grief if you miss that target. New players are very welcome. We’ll help you with advice, ally-shares, gear donations and grown up feelings you don’t understand. • Rules are play happily, be nice and help answer questions. • We're building up our TB and need some more players to get our Stars up! • All levels and abilities are welcome. • No Mercs - thanks! Casual but committed guild (Mostly EST) looking to add a few more members of any level. (Current average level 75) hoping to get members over level 65 so they can help us progress in Territory Battle. We are currently running Rancor 6 and Normal Tank. Greetings from The Strange Brew! We are a family of players working towards HAAT so we can get those sweet GK shards. We are constantly improving and hope to be HAAT ready in under 2 months. So we are looking for people that are or close to ready for HAAT. We currently have 1 spot open. My Line ID is: urlacma please feel free to send me a message and we can talk about if we'll fit your needs and if you'll be a fit to our guild! The Friends of the Universe is looking for new active players (we are currently 47/50). 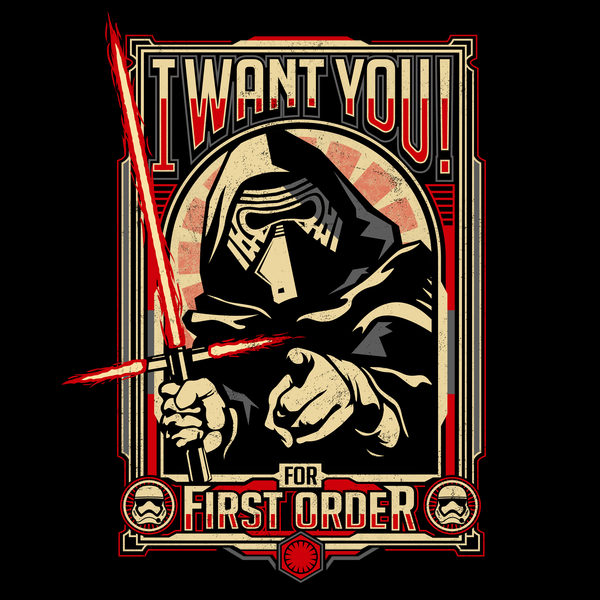 We are an European Guild (Eng, CZ, SK), 30M+ GP, rather casual but still very competitive, playing normal AAT and Heroic rancor (2x/3x per week). Looking for members preferably 1mil GP or greater but we are flexible on that. HAAT not yet but close... should be if we can fill the roster with the right people. Many of the current members have haat teams ready. The Griffintown Scoundrels are looking for six to 8 members! Requirements from our end include being lvl 85 with a GP of over 500k and having a swgoh.gg account. Join now and rule the galaxy! There’s lots of guilds oot there. Why should you join any of them? We’re a relaxed guild that generates 14-18k tickets a day. We’re with the Marauders De La Cosa Nostra Alliance. One of the top alliances in the game! We run the Heroic Rancor ( 24hr no damage ) twice a week ( rotating times ) Hiring mercs between TB for Haat. More members and tickets means more raids. We’ve got a total of 37 million GP right now, 41 members, more when you get here and got 19 stars last TB. The Corellian Refugees have room for a couple new members after losing some inactives. We just ran our first hAAT and made it to phase 4, so we need just a bit more firepower to get us to the finish line. Perfect time to welcome some new guildmates who can help us crush it! We're a relaxed, yet dedicated guild, and are very helpful with game strategy. Mostly US, with a few in Europe & Australia, and most player levels from 80 to 85. GP is over 51M and rising, with 27 stars in the last TB, so we're earning crystals. Looking at 28+ on the next round to get that next level prize box. We are a 37 million G.P. guild that run Heroic Rancors 2-3 times per week (w/ 24 hour ZDR 8pm UTC), nAAT as available (11pm UTC), and 16* Territory Battles and climbing. We have an active Discord family that includes our 2 ally guilds, where someone is online all the time to answer strategy questions, share theory, show off their new xbox, whatever. We're looking for HAAT focused players that can put us over the edge of not needing merc help and are willing to meet 350 tickets per day. We're a group that takes it as serious as we can without taking the fun out. Message me or post your swgoh.gg account to our Discord https://discord.gg/2tRFtsS recruiting channel (I’m Ffion#4439) and tell us a little about yourself. About us: we currently consist of 2 guilds. Holy Wars, and Holy Wars Messengers. We were recently approached by a guild leader to join forces and couldn't pass up the opportunity. Holy Wars is a Heroic Pit and HAAT guild that earned 32* on our most recent Territory battle. Holy wars messengers is a heroic pit and normal AAT guild. They are currently 32/50 and we are looking to fill that up. We will begin promotion from within from messengers only as soon as that guild is full. Any level member can join. We do however want players who are dedicated and want to grow. Promotions will be earned by the following 3 criteria. LØFÂ ALLIANCE has a NEW TRAINING GUILD - LÊGIØN ÂCADEMY! We are recruiting new players, levels 25-85, to join us in our training guild. We don't care how "low" your GP is, how "little" you know or how new you are, we just want active, dedicated players who know how to work hard and PLAY HARD, and to find you the most supportive and badass home around. Our alliance is full of extremely knowledgeable and helpful players, many of which have been playing since the beginning. We aren't here to ridicule or kick you out for "underperforming," we're here to show you the ropes and how to have a really fun time in this game while still kicking **** and taking names! I never imagined how helpful and amazing this alliance, or family, really, would be. Now I want to give back by inviting you to join us too.